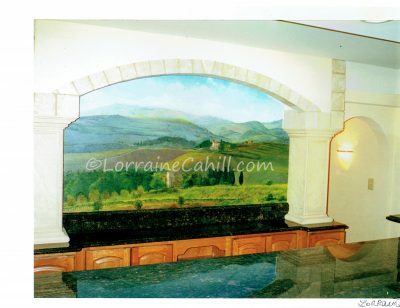 Custom painted Tuscan scene for wine bar. 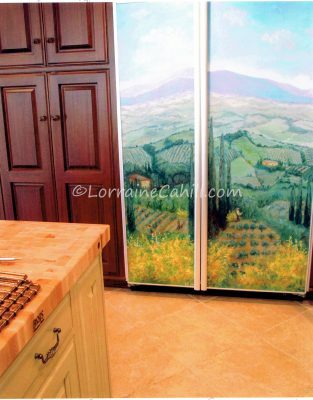 Painted Tuscan scenes on the front of a refrigerator. 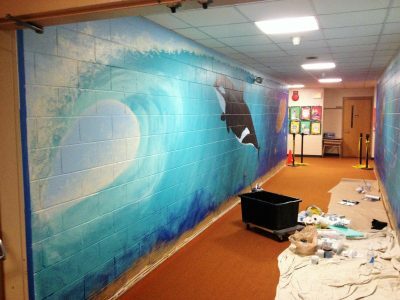 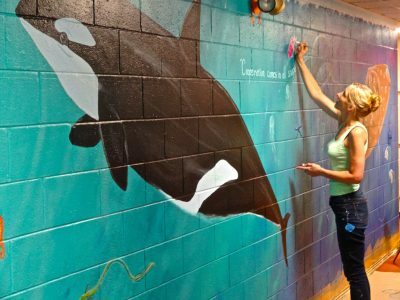 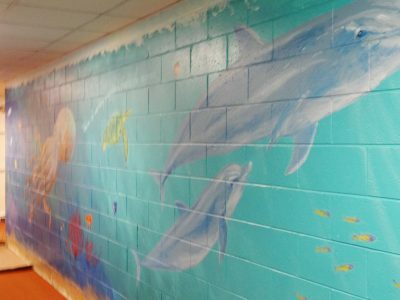 Painting a seventy foot anti bullying mural ocean design for a NJ school. 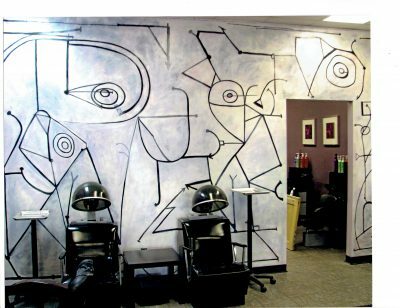 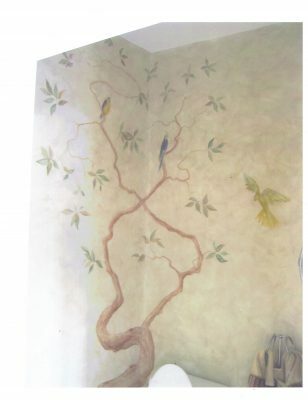 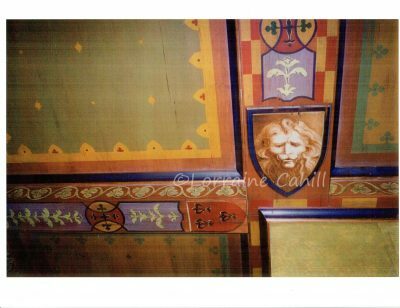 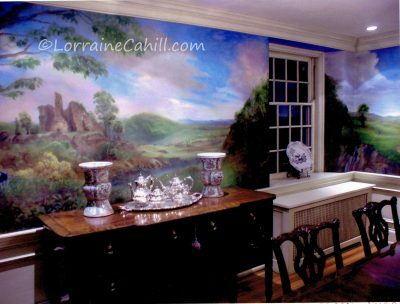 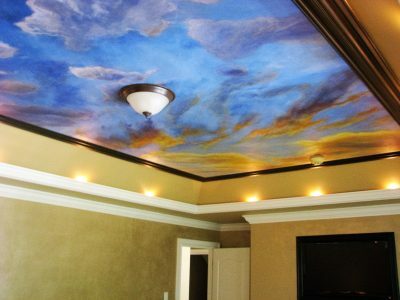 Ceiling mural painted on canvas then adhered to the ceiling with wallpaper adhesive. 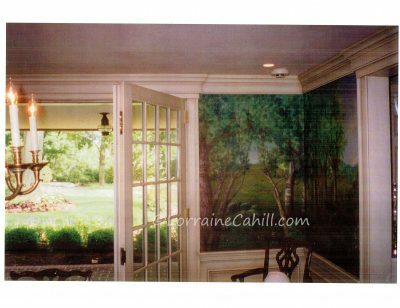 Oil painted classical scenes painted on Belgium linen canvas installed like wallpaper. 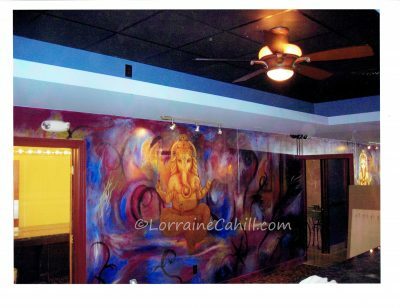 Nightclub designed and painted with Gold leaf Ganesh and tiger skin painted doors. 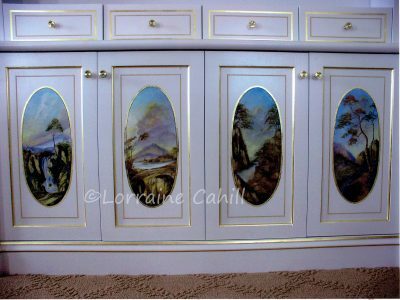 Painted little classical scenes on dressing room cabinets that Hugh Luck gold leafed. 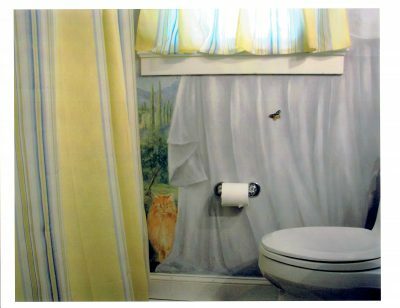 Custom bathrooms with favorite pets in the scenes. 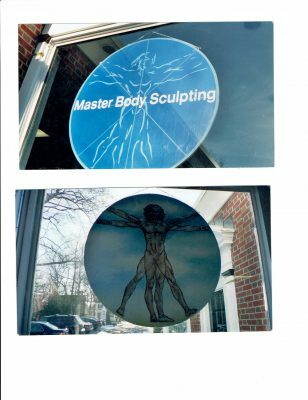 Hand painted custom signs for storefront. 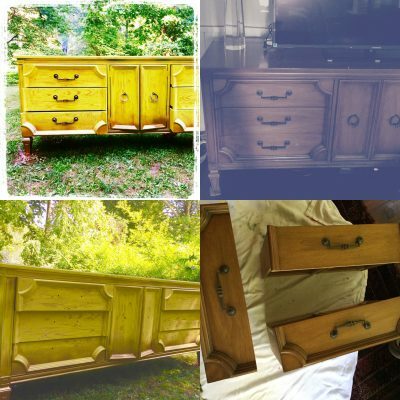 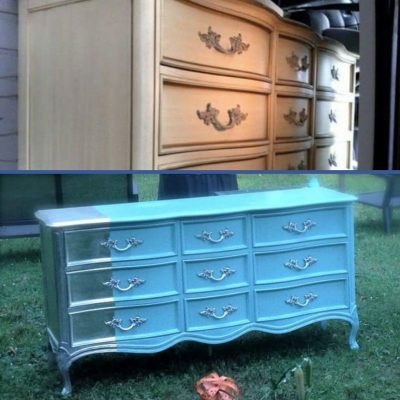 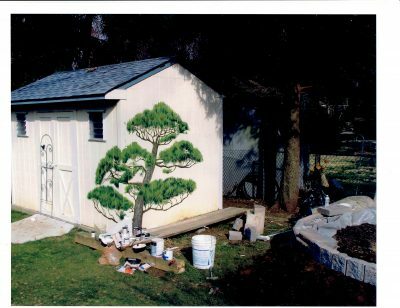 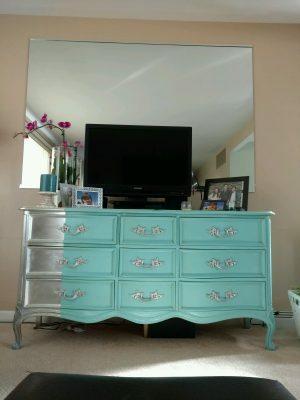 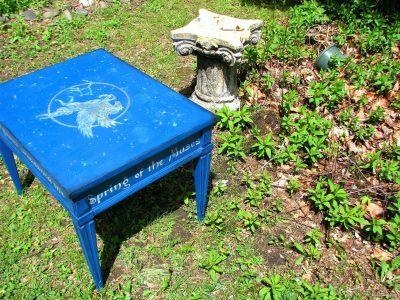 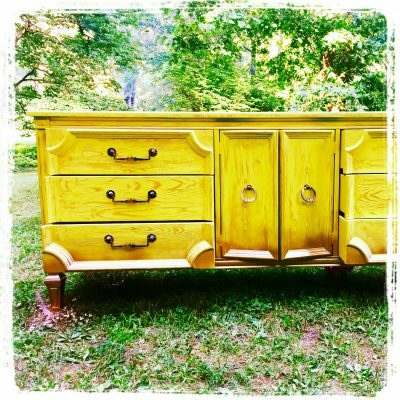 Dress up your shed with a custom paint job!